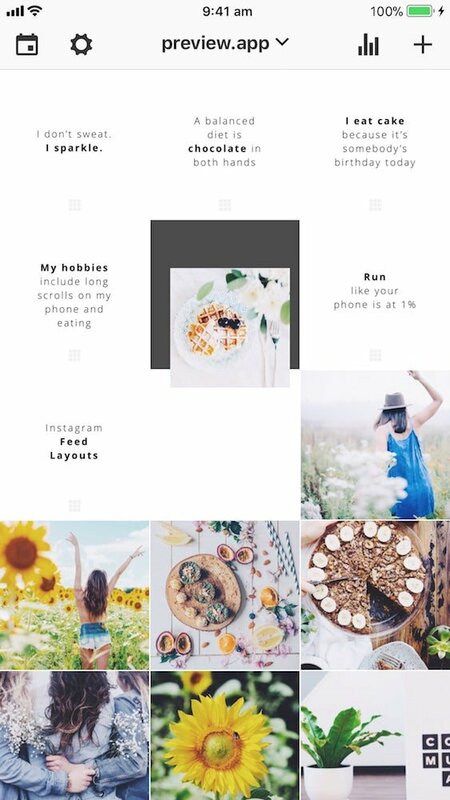 There are 7 different Instagram feed layouts you can create. In this blog post I’m going to show you how you can make the “tiles” layout using Preview app. 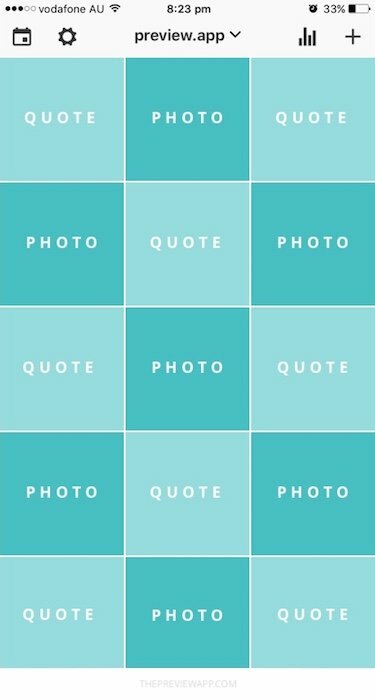 The most popular tiles layout is when people alternate between a photo and a quote. You don’t have to only use quotes. Be as creative as you want. That’s when using Preview app becomes super handy because it helps you rearrange the order of your posts. 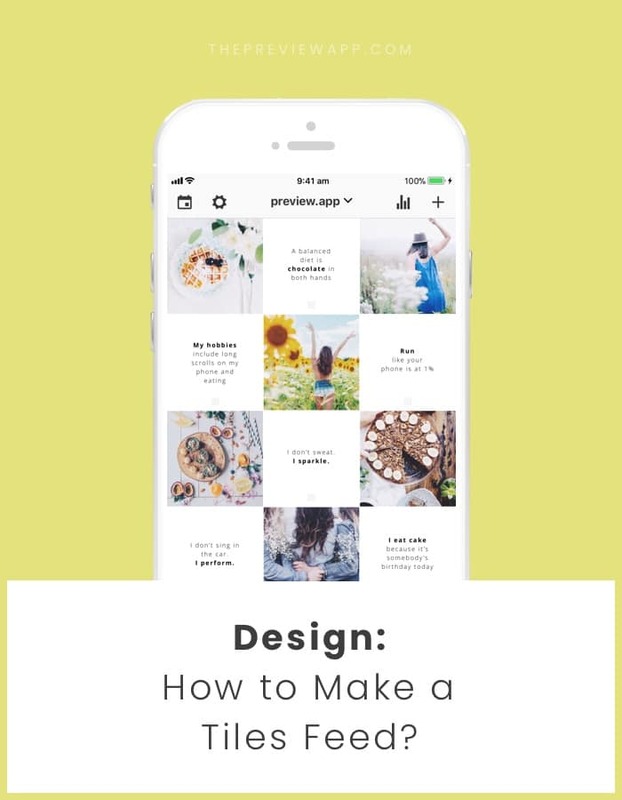 You can design your entire feed in the app before you post anything on Instagram. Before I show you how to do that, you need to prepare your quotes. 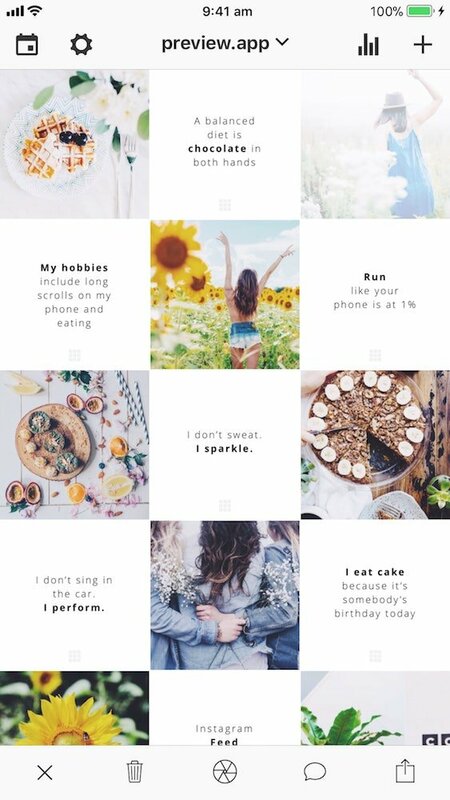 Do you want to use quotes for your layout? If yes, keep reading. If you already have all your posts ready, jump to the next part. 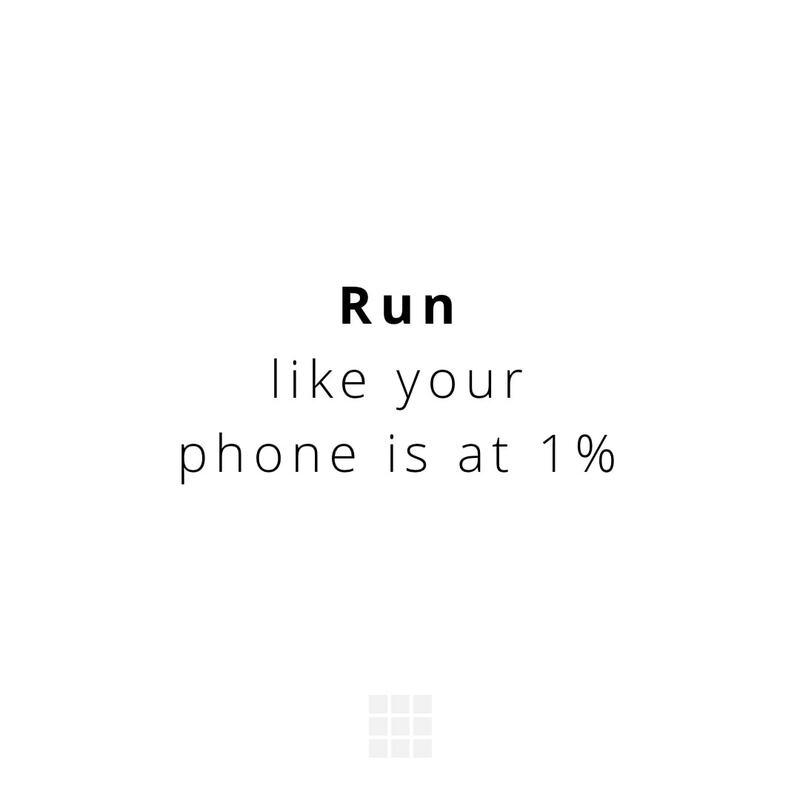 People usually share quotes on a white background. 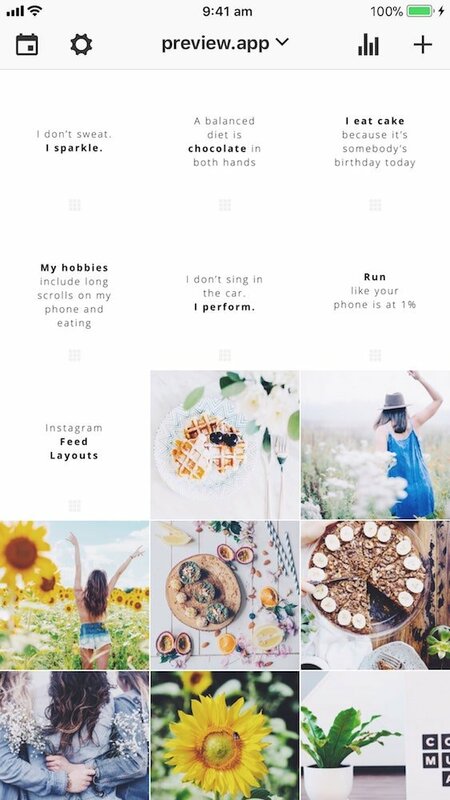 I show you how to use the last three in this blog post: 3 Tools to Create Instagram Post Templates. Quick tip: Keep your quotes simple. Try to use the same font, font size and font color. 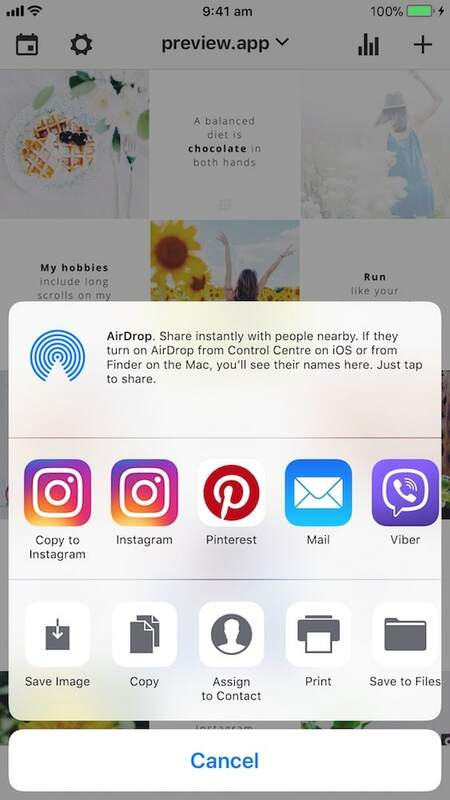 It will make your feed look cleaner and more organized. It will also create visual consistency very easily. Do you have some posts ready? Let’s add them in Preview to design your feed. Your photos will load in Preview. It will look messy like this. It’s ok. We’ll take care of it in the next step. This is the fun part! It’s time to rearrange the order of your posts to make the tiles. Use the drag and drop feature in Preview to rearrange the order of your photos. Don’t forget: The trick is to alternate between a photo and a quote. Quick note: If you had prepared your caption, Preview will automatically copy it for you. All you have to do is paste it in your Instagram caption before you post. Have fun creating your feed! How to Use Preview App like a Pro?